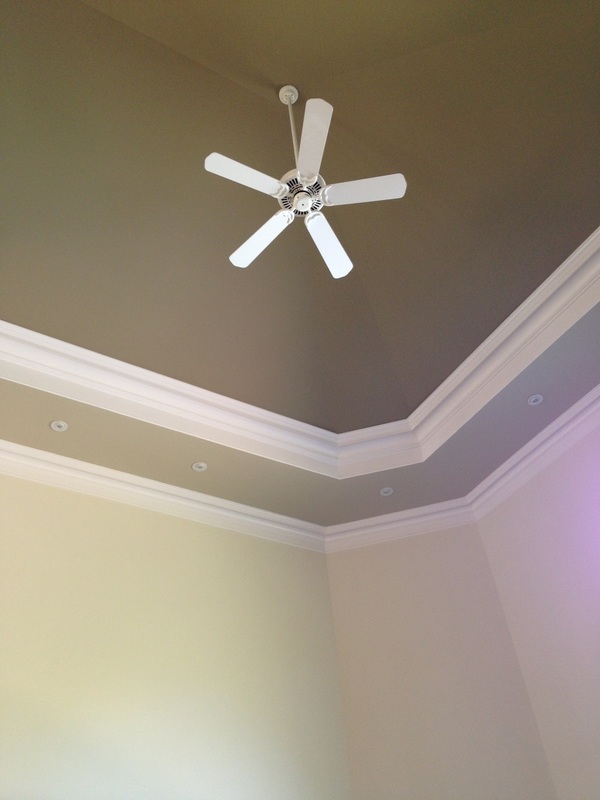 Ceiling fans offer an affordable and attractive way to supplement or even replace your home's cooling system. Even during the cold months, a fan can help redistribute warm air that has accumulated near the ceiling, saving you money on your heating bill. Always choose a professional for installation to ensure all safety precautions have been followed. 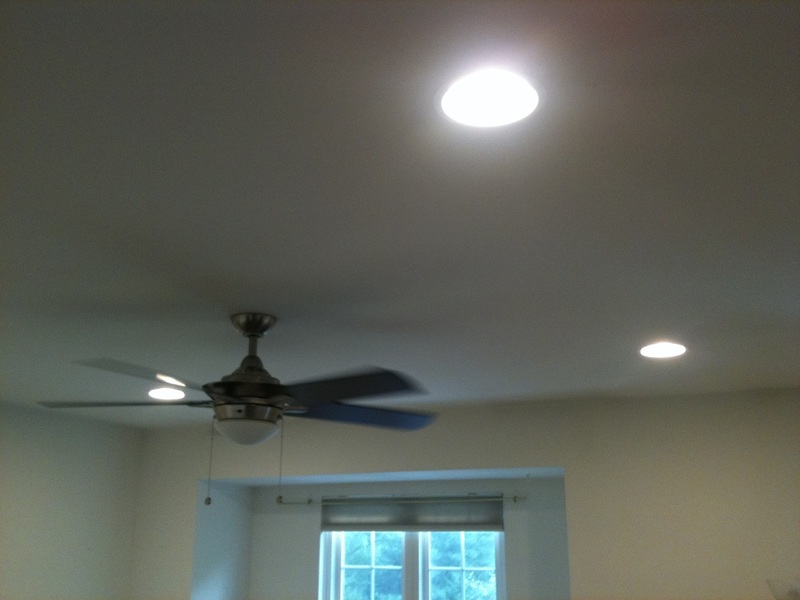 First Class Electric's certified electricians install a wide variety of ceiling fans in homes and businesses throughout Central New Jersey. Our work is 100% guaranteed and comes with a lifetime warranty on labor. Give us a call at (908) 325-1777 or submit a contact form for help. Imagine you're sitting in your living room on a sweltering summer afternoon. With the simple flip of a switch, you can select your own personal breeze and adjust the airflow as you see fit. Choose the high setting when it's hot or the low setting just to keep the air circulating. You're in control. And many models come with remote controls for additional convenience. Some homeowners install ceiling fans because they don't have central air conditioning, but others just prefer the natural feel of a breeze on a warm day. 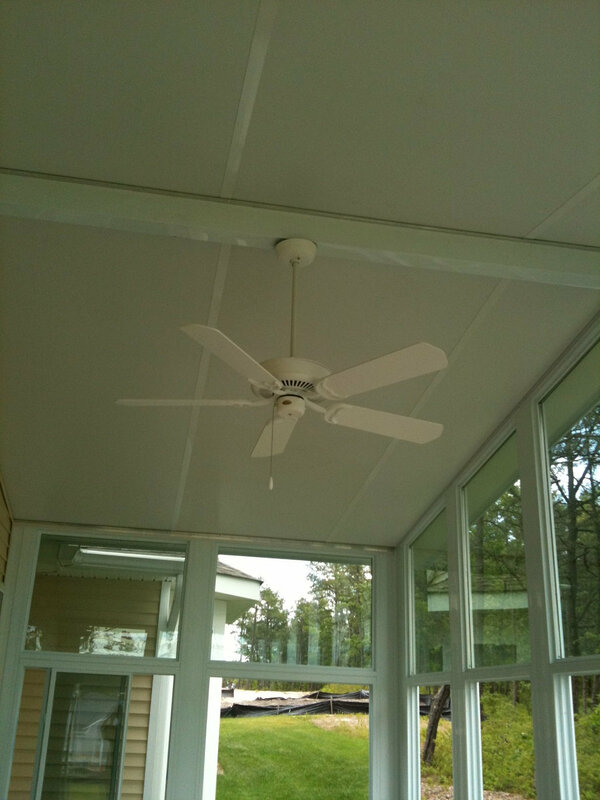 Ceiling fans can replace or supplement a home's cooling system. But ceiling fans are not just for the summertime. 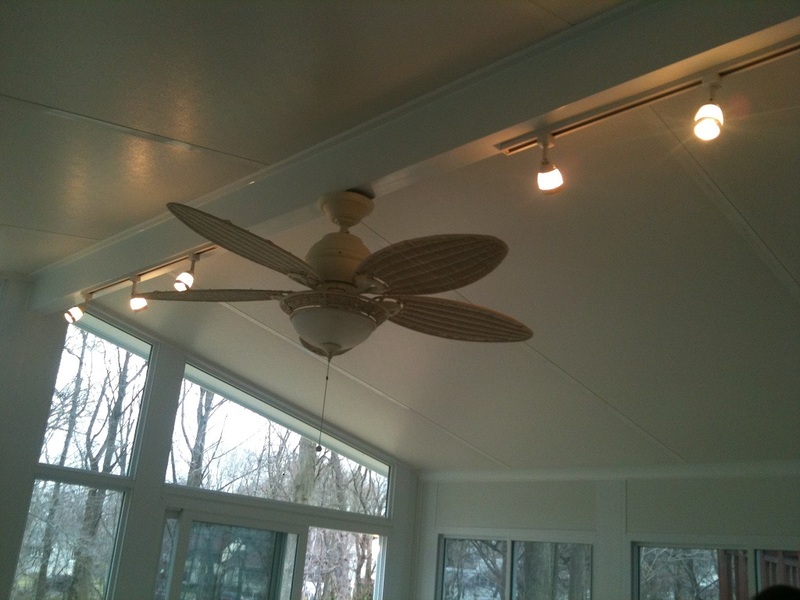 In the winter, many people use ceiling fans to blow the accumulated hot air from the ceiling area down to the floor level because hot air always rises. This way you can save money on your heating bill. Especially if you have higher ceilings. 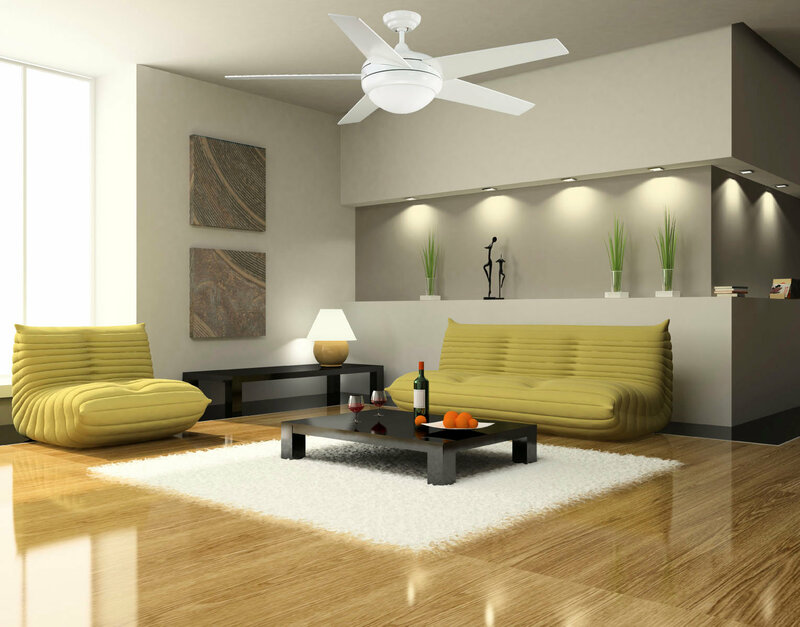 Ceiling fans come in a variety of designs and sizes of blades, most often with the option to have a light feature as well. An important detail to remember here is that the fan with the biggest blades does not necessary mean that it will give you the greatest flow of air. The amount of air flow depends not only on the size of the blades, but also the speed or shape of the blades. 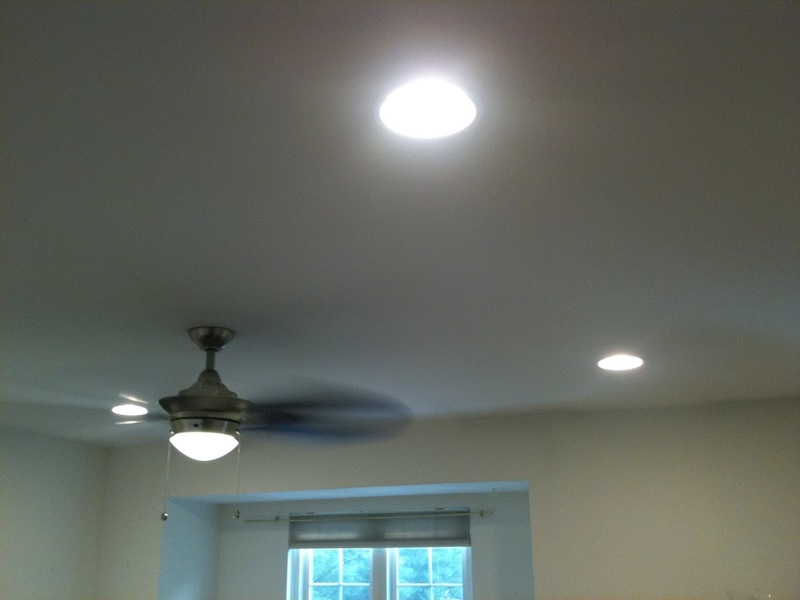 The easy way to compare ceiling fans is to look at the fans CFMs (cubic feet per minute). All the fans have this number indicated on their package or technical data sheet. The higher the number the more airflow the fan will create.